Pallet collars are a globally used and proven packaging solution. Are you looking for a compact and effective alternative to a lattice box or transport crate? Pallet collars are just the thing for you! 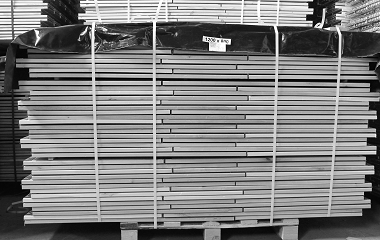 Pack your cargo safely for worldwide shipping with our hardwood pallet lids. 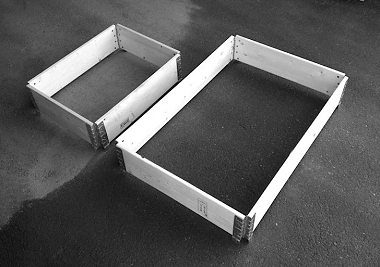 With the help of pallet collars europallets, display and industrial pallets become more flexible and can be turned into boxes, should the need arise. With effortless ease can pallet collars be stacked upon one another to reach the needed height. All of our pallet collar are treated according to IPPC ISPM15 and are suitable for worldwide shipping. Their galvanized hinges, make the collars foldable and, therefore, space-saving in their storage. ✔ available in bundles of 108 and 120 pieces. Upon request we can custom-build pallet collars according to your individual requirements within two weeks. Not only can you request custom length, width and/or height, but also the number of the hinges. We manufacture collars with 4 or 6 galvanized hinges, that are foldable diagonally or medially. The pallet collar system is ideally complemented with matching pallet lids the and represents a viable alternative to a wooden box and will serve as effective protection for your goods. Our pallet lids are available in any required size. Any pallet collars can be customized. Your logo and/or product name (letters/ digits/ special characters) can be applied to collars with the help of screen printing or branding. 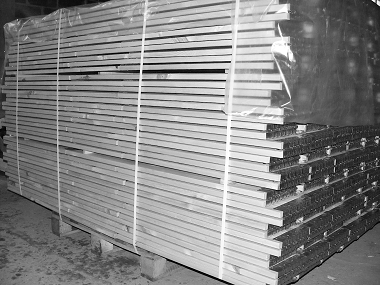 We will gladly make you an offer on pallet collars made from first-rate or second-rate quality wood. Contact us via phone our online online form for comprehensive advice, should you have any further questions.